Definetely the best hostel we stayed during our trip in Scotland. The location is excellent and beautiful. It's right in front of the lake and at the beggining of the path to Ben Lomond. The facilities are amazing, with a huge lounge area where you can chill and hang out with other backpackers and huge window overlooking the Loch Lomond. It is super clean and the atmosphere is super friendly. The staff is also incredible, super friendly and fun. Shout out to Andrew, friendliest guy you'll meet. Excellent hostel, lovely location! Definitely recommend it. The location is absolutely superb! The facilities are great! Amazing views! Great location! For those driving be careful of all the pot holes! WiFi wasn’t great, which meant that the hostel card machine was very very slow. No free coffee/tea making facilities. Building is lovely and the scenery couldn’t be more beautiful. 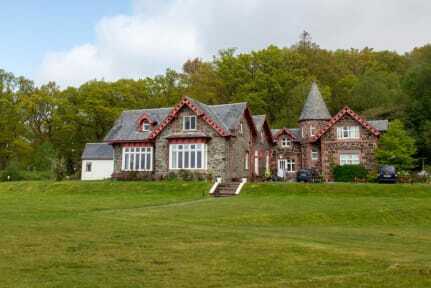 Great and idyllic location on the west highland way. 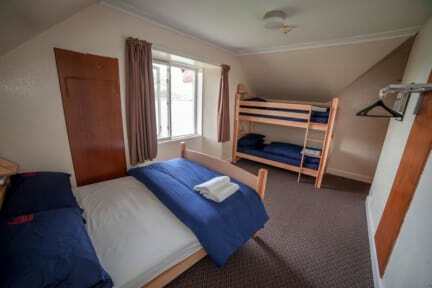 There is breakfast and dinner offered in the hostel. There is no shop close by for food. There is only 2 electrical outputs in the room which is hard with 6 beds, each having 2-4 things to charge.